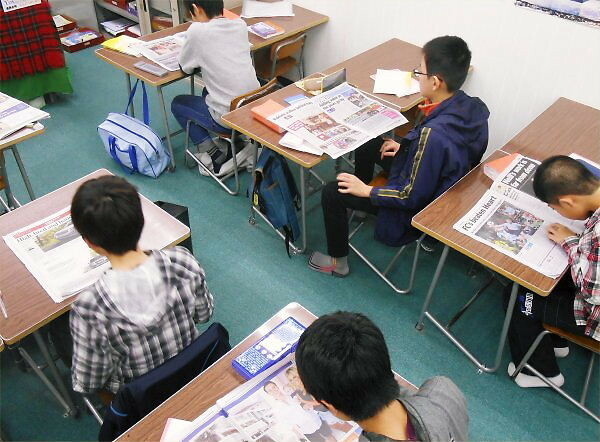 アルバム、英字新聞で：By using an album, newspapers written in English, etc. 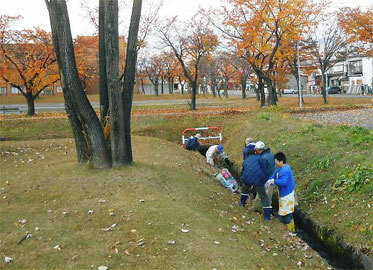 That work was done by all persons who are in charge of controlling this ditches on Sunday, November 24th. In such emergency situations as a big loaf of snow, a big piece of plastic garbage, a big stone, etc were got stuck, do you understand how to do? … We have to be accustomed to *deal with them very quickly. If not, water would be overflowing. 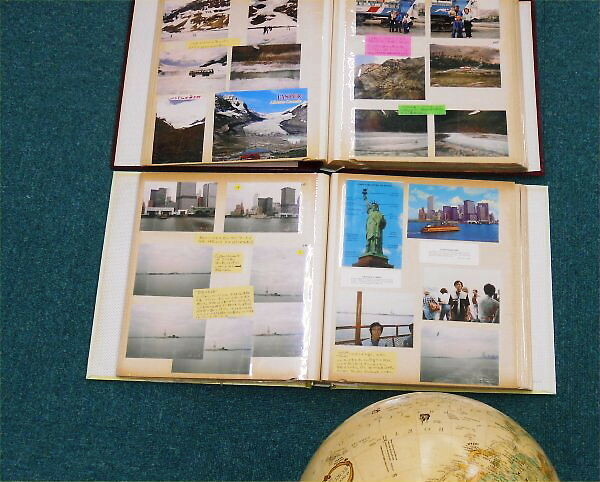 Most LL English School children can *get little image of New York City even though a globe was used, can’t they? 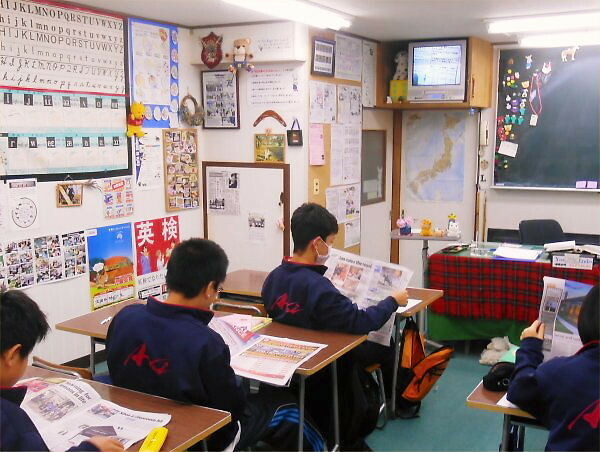 Yoshy once visited New York by using a brushing up tour before opening LL Shihoya Arai School. Those lots of pictures of North America, Canada, etc *as well as New York are still useful in teaching here. Therefore, “the real papers from Australia” presented by one of M-PEC members, Ms. Y has big use! Again thanks a lot, Ms. Y! Needless to say, if they would like to hope like “I want to read an English-language newspaper some day!” – I’ve got it! Eureka!